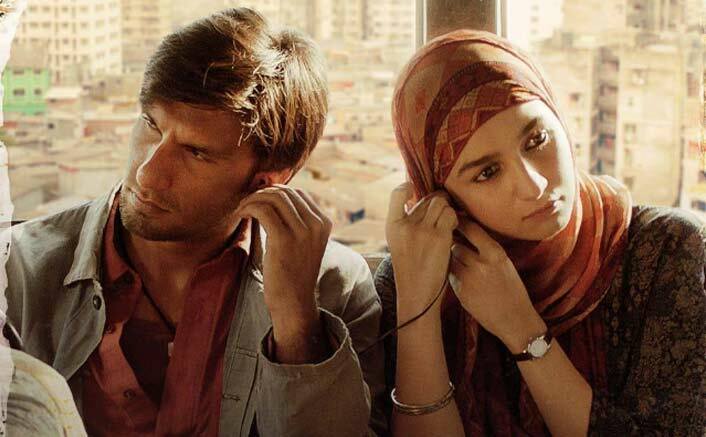 Gully Boy Reviews (Early) Out: Movie lovers from the entire country has been chanting only one hymn – “Apna time aayega!” Ranveer Singh and Alia Bhatt are all set to make us fall in love with them all over again with Gully Boy releasing on 14th February. The movie was showcased at Berlinale 2019 and it has recieved raving reviews from there. Gully Boy showcases the life of Murad (Ranveer Singh) who’s an aspiring rapper struggling with many issues in his personal life. People have called it Ranveer Singh’s career-best performance and are raving about Alia Bhatt as well. From the audience over there, the news is that movie was welcomed with whistles, claps and cheers. It’s also been said the energy in the auditorium was unmatchable and also been touted as one of the best films to be screened at Berlin Film Fest. This time, there are three Indian women filmmakers at the Berlinale. Zoya Akhtar’s Gully Boy, Udita Bhargava’s Dust and Rima Das’ Bulbul Can Sing. Gully Boy is directed by Zoya Akhtar, it is loosely based on the life of street rappers Divine and Naezy. The film also stars Alia Bhatt, Kalki Koechlin, Vijay Raaz and Siddhant Chaturvedi in supporting roles. The film releases on February 14. The post Gully Boy Reviews (Early) Out: Ranveer Singh’s Career BEST, Recieved With Claps, Whistles & Cheers! appeared first on Koimoi. Previous ArticleUri: The Surgical Strike Box Office (Overseas): A Memorable Journey!